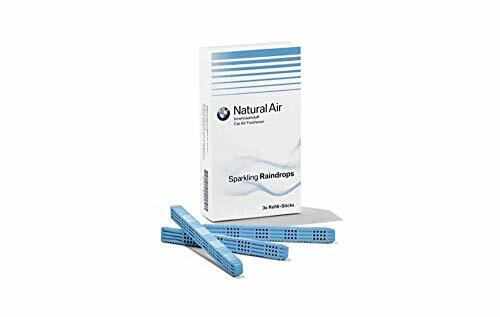 BMW Natural Air Interior Fragrance Refill Kit (in englischer Sprache). Sparkling Rain Drops BMW Natural Air is a Convenient Lösung for Bringing Fragrance Into The Cabin. This Set Contains Three Sticks, which can be an replaced. Crea Ted Exclusively for BMW from natural essential oils, These entwickelt Create, Harmonious Atmosphere in the Cabin. The Hand Components of this Fragrance are Eukalyptus und Rosmarin. This Fragrance has a DISCREETLY Spicy Note And A Stimulating Effect. We Are Fully Committed for 100% Kunden Zufriedenheit. If you have Any Fragen About Your Kauf Please Kontakt us.